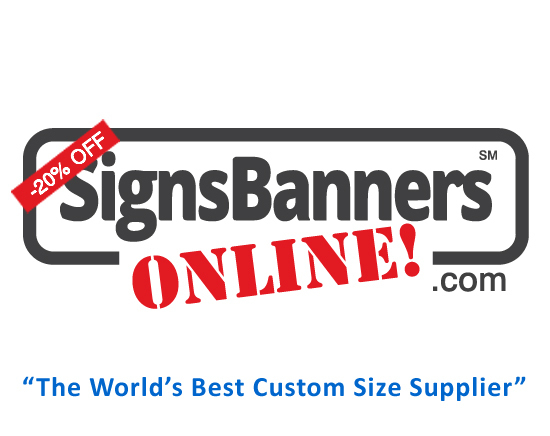 Professionals like sign firms and advertising agency designers the http://www.signsbannersonline/qsi/mos.php page when they set up and prepare to make banners and signs. Here's how they do it. Sign companies use the free template system so that they know the hemming size, best print set up and how to make a banner sign for their customers. It is also used by many professional advertising agency designers and is completely free. Getting the correct material size and allocating the correct design for the manufacturing process always varies because each custom sign banner print is different and each customer wants a slightly different finish size. Their template generator is automatic then you can open it in a program such as photoshop. Put your banner sign design on the upper most top layer so that you only see your design. That's how sign companies do it. You can use the easy template maker here free and access all the features. It's free. You dont need an account. Just use it.